Amplified strings, guitars, and a fender Rhodes piano, are joined by homegrown software “instruments” used to process the band’s live performance. The detail and structure of these compositions reveals the group’s background in the world of modern classical music, leaning on NYC’s post-minimalist heritage while their electrified, live energy projects the palpable drive of a long-running band with deep indie roots. For a preview of their work check out Nor'ester released by New Albion (John Cage, Arvo Part, Terry Riley, Steve Reich, etc) earlier this year. Since 2000, Slow Six’s live performances have stunned crowds at festivals including Minnesota’s SPARK Festival of Electronic Music and Art and Brooklyn Academy of Music’s Next Wave Festival. They continue to sell-out club dates at the finest NYC venues including Joe's Pub and The Knitting Factory. They have sold-out runs at The Joyce SoHo Theater in collaboration with modern dancers and packed The Apple Store with their unique video-art immersed concerts. 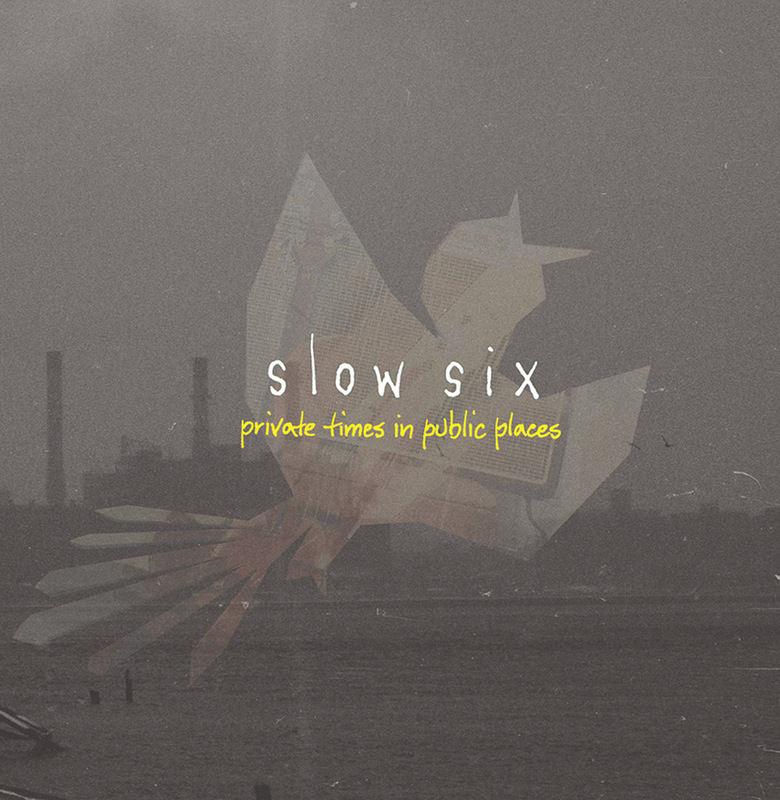 Slow Six can be found regularly on the airwaves of WNYC's New Sounds, WFMU, PRI’s Echoes Program, England’s The Chiller Cabinet, and have appeared on NPR's Weekend America. This fall, they begin a national tour in support of Private Times In Public Places.